President Moon Jae-in plans to replace his finance minister as early as this week, an official familiar with the issue said Thursday. The announcement on replacing Finance Minister Kim Dong-yeon could be made before Moon leaves for Singapore on Nov. 13 for annual summits with Southeast Asian and other regional partners, the official said. Moon will visit Papua New Guinea on Nov. 17 and 18 for a meeting of Asia-Pacific Economic Cooperation forum. 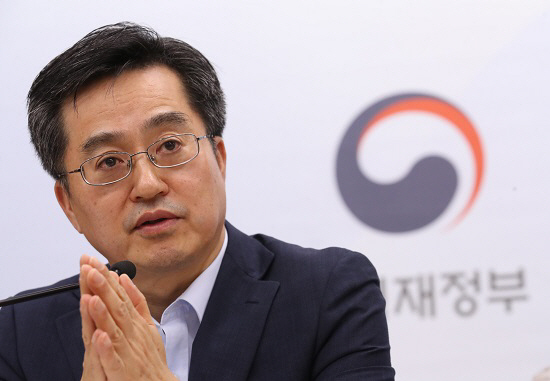 Hong Nam-ki, chief of the Office for Government Policy Coordination, is tipped as a favorite to succeed Kim.